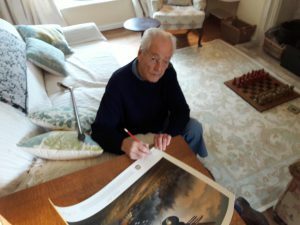 On Sunday 16th September 2018, our Events Manager, Dave Hands, had the pleasure of meeting with Wing Commander Tim Elkington at his home. Together, they chatted about Tim’s long RAF career (Tim joined in 1939 and retired in 1975) which saw him fly an incredible range of aircraft, including Hurricanes in The Battle of Britain, Russia and India, Spitfires and Typhoons with 197 Squadron. 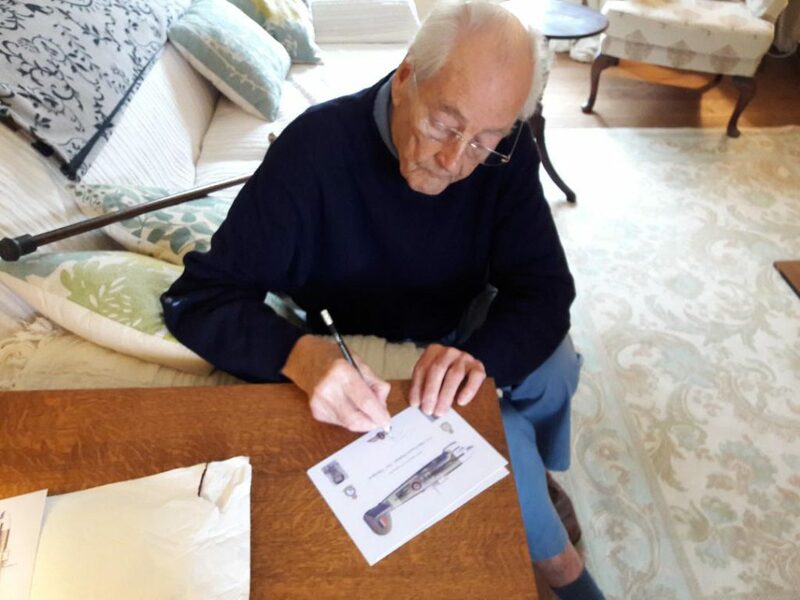 Tim sadly passed away in 2019, aged 98. Tim was not actually his real name. Tim’s full name is John Francis Durham Elkington, but he didn’t really like the name John and from an early age has been called ‘Tim’ by family and friends. It stuck. He had no recollection of why the name Tim was used. In 1941, he joined 134 Squadron and ended up near Murmansk training Russian and Czech pilots to fly the Hurricane. He described them all as extremely polite and kind. 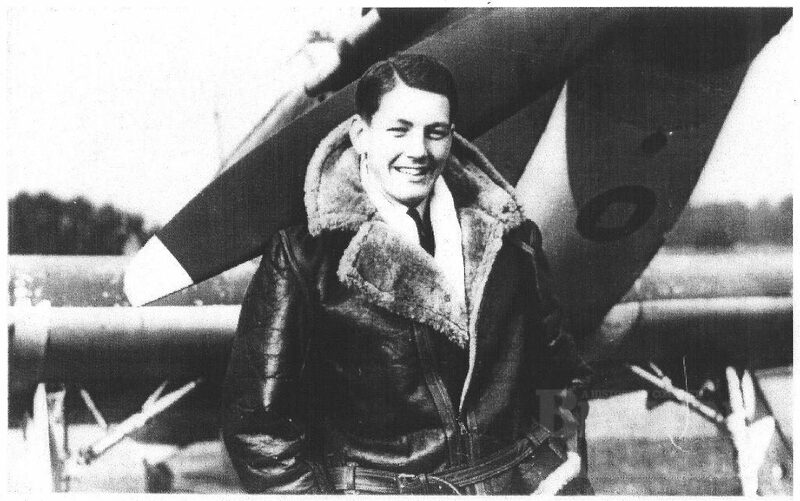 By January 1943 Tim had returned to England and joined 197 Squadron based at Tangmere flying the Hawker Typhoon Mk.Ib. Their operational duties were as bomber escorts, interceptors and attacking enemy shipping. 197 were never ordered to carry out any low-level attacks in France and Tim couldn’t remember a single time when they carried out a low-level attack, other than to attack enemy shipping near the French coast. Although Tim had two confirmed kills to his name (including one in Russia), he said that in his whole time of flying from 1939 to 1945 he could only remember seeing four enemy aircraft in the air, which is remarkable considering where he was based. 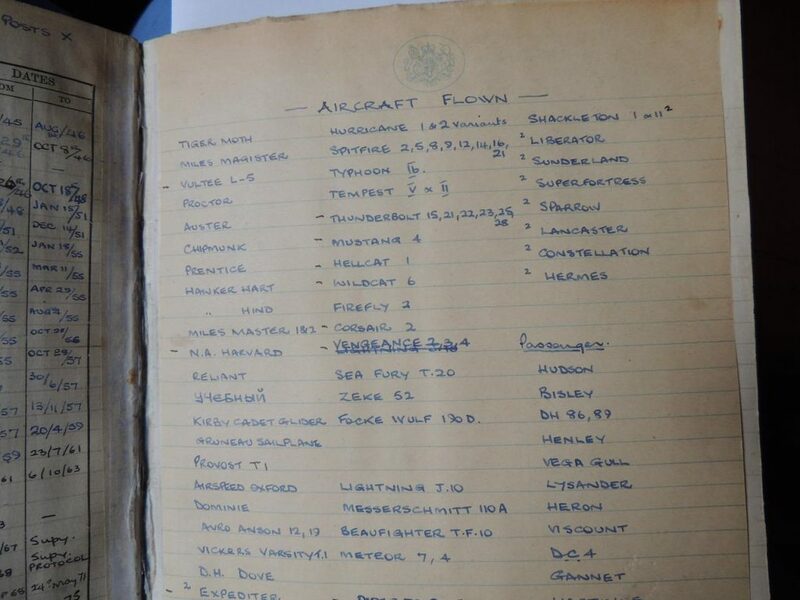 In his time at Tangmere, Tim flew Spitfires, Wildcats, Hellcats, Mustangs and an Fw190. He would have flown the Me109 but the day before he was due to, another pilot crashed it. Tangmere was where the Test and Research Establishment was based at the time which is why he got to fly other types. 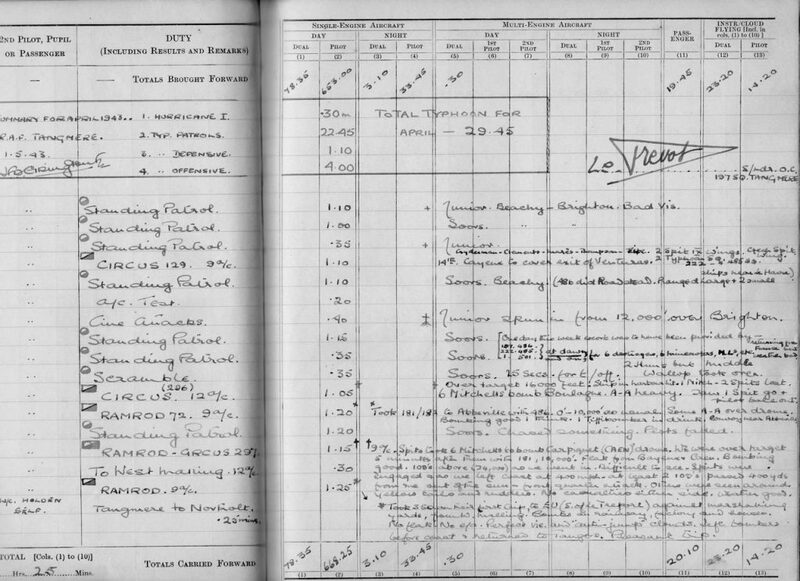 In early 1944 he was posted to 67 Squadron and back onto Hurricanes as part of the defence of Calcutta in India, finally returning to England in 1946. When I asked him how he felt about a Typhoon being put back in the air, Tim smiled and just said ‘I want to fly it.’ He elaborated soon after. ‘It’s very good to hear, do you think you will be able to do it?.’ My answer was a simple yes. Tim was very interested to hear about the engine and how the project has come to have it. He was also pleased with the way the project is going about things, that the engine is one of the last items to be renovated and will take three years on its own. I didn’t need to explain why as he did an arm movement to show that the parts could be seized. I explained that 2024 was the date for first flight and Tim smiled, ‘My children and grandchildren will like to see that as I may well not be here.’ I let him know that if he couldn’t make it to the first flight then I’m sure we could arrange a flyby over the house at some point. ‘I’d like that,’ he said.